It's that time of the month again, beloved Ij hallen. A quick ferry trip over the river Ij with a nice bunch of people this time, we all set off to find our treasure. I had quite some themes going - vintage illustration, flying and type. 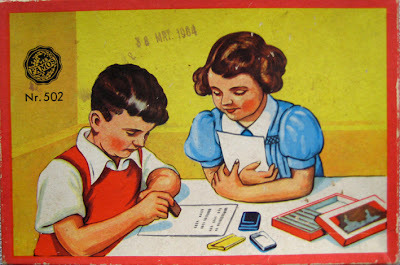 Some of the things I picked up as I trawled though the junk: this kid's letter-set game, very cute. Loved this mum, over the moon to receive a box of handkerchief's from her kids. My brother, sister and I use to give my mum hankies for her birthday so this was more a sentimental purchase. 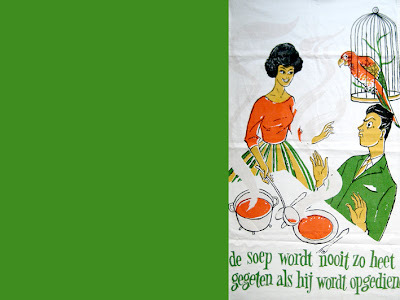 Fabric: a tea towel with a Dutch saying, 'the soup is never eaten as hot as it's served'. 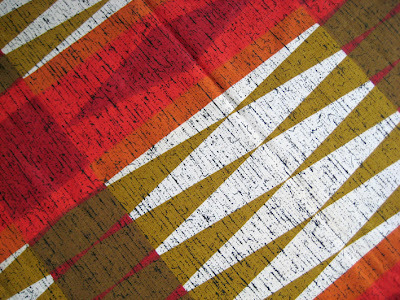 And a striking geometric tablecloth. Looks brilliant on my dining table. 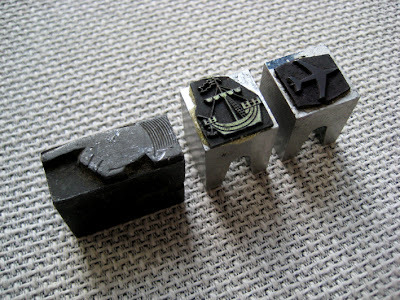 Back to type, and there tiny little lead block stamps were a must-have. 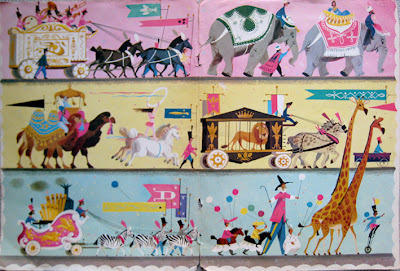 I do like to decorate my snail mail so... And some really wacky illustrations. Sadly this book was not complete, but the 3D set up images are fabulous and so I had to have it. 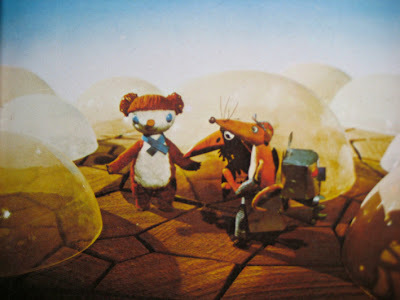 The strings holding up the spaceship as it flies can be seen in many of the images, a really charming book. And a classic, the story of Dumbo in vintage Disney (Little Golden book style illustrations), the only Disney I will have in my house. 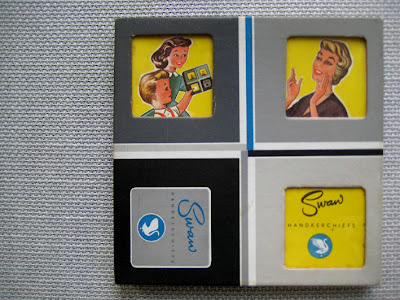 And finally, I couldn't walk away without at least one ceramic item. I am addicted I know, but at least it wasn't another vase! 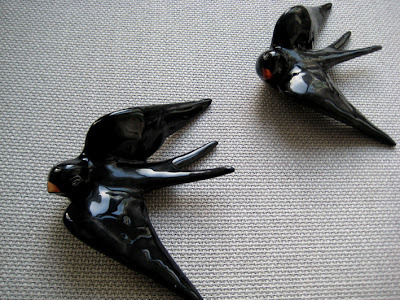 These black swallows will look amazing flying across one of my walls. And so ends another successful rummage. Until next month. 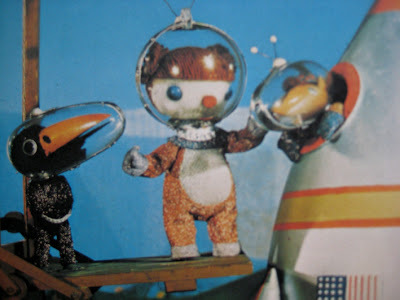 Ha ha ,the bear in space thing is a Polish cartoon I watched when I was about 7. Loved it.